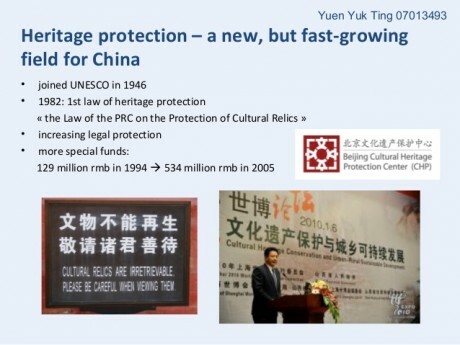 Heritage protection – a new, but fast-growing field for China. Preface: The Law of the People’s Republic of China on Protection of Cultural Relics (1991 Amendment) was adopted by the 20th Meeting of the Standing Committee of the Seventh National People’s Congress, Beijing, 29 June, 1991. The 1991 Amendment is amended in accordance with the Decision of the Standing Committee of the National People’s Congress Regarding the Revision of Articles 30 and 31 of the Law of the People’s Republic of China on Protection of Cultural Relics at the 20th Meeting of the Standing Committee of the Seventh National People’s Congress on June 29, 1991. The 20th Meeting of the Standing Committee of the Seventh National People’s Congress, Beijing, 29 June, 1991. (5) selling or presenting as gifts without permission any cultural relics in their collection by museums, libraries or like institutions under public ownership to other museums, libraries and like institutions under public ownership, for which, the institutions involved shall be instructed by the departments for cultural administration to recover the cultural relics sold or presented as gifts and shall have the illegal earnings derived therefrom confiscated or shall be fined; and the persons in charge and the persons directly responsible shall be given administrative sanctions by the units to which they belong or their higher authorities. The second paragraph of Article 31, which reads: “those who excavate sites of ancient culture or ancient tombs without permission are punishable for larceny”, is deleted. This Decision shall take effect as of the date of its promulgation. Article 30 and Article 31 of the Law of the People’s Republic of China on the Protection of Cultural Relics shall be republished after being correspondingly amended according to this Decision. (8) selling or presenting as gifts without permission any cultural relics in their collection by museums, libraries or like institutions under public ownership to other museums, libraries and like institutions under public ownership, for which, the institutions involved shall be instructed by the departments for cultural administration to recover the cultural relics sold or presented as gifts and shall have the illegal earnings derived therefrom confiscated or shall be fined; and the persons in charge and the persons directly responsible shall be given administrative sanctions by the units to which they belong or their higher authorities. Anyone who is not satisfied with the administrative sanctions made in accordance with the provisions of the preceding paragraph may apply for reconsideration or bring a lawsuit according to law. (5) damage of, or losses to valuable cultural relics caused by the dereliction of duty on the part of State functionaries. Selling or presenting as gifts without permission any cultural relics in their collection by museums, libraries or like institutions under public ownership to any institution not under public ownership or to any individual, for which the persons in charge and the persons directly responsible shall be investigated for criminal responsibility by applying mutatis mutandis the provisions of Article 187 of the Criminal Law. State functionaries who, by abusing their power, illegally appropriate any cultural relics under State protection shall be deemed as embezzlers and punished as such; those who have caused serious damage of or losses to valuable cultural relics shall be investigated for criminal responsibility by applying mutatis mutandis the provisions of Article 187 of the Criminal Law. Any organization or individual who, without permission, sells or presents as a gift to a foreigner any valuable cultural relics in its, his or her collection, the export of which is prohibited by the State, shall be deemed as smuggler and punished as such. Personnel in charge of cultural relics who steal cultural relics placed under their care shall be given heavier punishment according to law. Article 1. This Law is formulated with a view to strengthening state protection of cultural relics, contributing to the development of scientific research, inheriting the splendid historical and cultural legacy of our nation, conducting education in patriotism and in the revolutionary tradition, and building a socialist society with an advanced culture and ideology. The criteria and measures for the verification of cultural relics shall be formulated by the state department for cultural administration, which shall report them to the State Council for approval. Article 3. The state department for cultural administration shall take charge of the work concerning cultural relics throughout the country. Local people’s governments at various levels shall place under their protection cultural relics in their respective administrative areas. Provinces, autonomous regions, and municipalities directly under the Central Government as well as autonomous prefectures, counties, autonomous counties and cities where there are relatively large amounts of cultural relics may set up organs for the protection and control of the cultural relics within their respective administrative areas. All government organs, public organizations and individuals have the obligation to protect the country’s cultural relics. Article 4. All cultural relics remaining underground or in the inland waters or territorial seas within the boundaries of the People’s Republic of China shall be owned by the state. Sites of ancient culture, ancient tombs and cave temples shall be owned by the state. Memorial buildings, ancient architectural structures, stone carvings, etc., designated for protection by the state, unless governed by other state regulations, shall be owned by the state. Cultural relics in the collection of state organs, armed forces, enterprises owned by the whole people and public institutions shall be owned by the state. Article 5. Ownership of memorial buildings, ancient architectural structures and cultural relics handed down from generation to generation which belong to collectives or individuals shall be protected by state laws. Owners of the cultural relics must abide by the relevant state regulations governing the protection and control of cultural relics. Article 6. The expenses for the protection and control of cultural relics shall be listed in the budgets of the central and local governments. Article 7. Cultural relics, such as sites related to revolutionary history, memorial buildings, sites of ancient culture, ancient tombs, ancient architectural structures, cave temples, stone carvings, etc., shall be designated as sites to be protected for their historical and cultural value at different levels according to their historical, artistic or scientific value. Sites to be protected for their historical and cultural value at the level of counties, autonomous counties and cities shall be approved and announced by the people’s governments at the same level and reported to the people’s governments of provinces, autonomous regions, or municipalities directly under the Central Government for the record. Sites to be protected for their historical and cultural value at the level of provinces, autonomous regions, and municipalities directly under the Central Government shall be approved and announced by the people’s governments at the same level and reported to the State Council for the record. The state department for cultural administration shall select, from among the sites to be protected at different levels, those which have a significant historical, artistic or scientific value as major sites to be protected at the national level, or shall directly designate such sites and report them to the State Council for approval and announcement. Article 8. 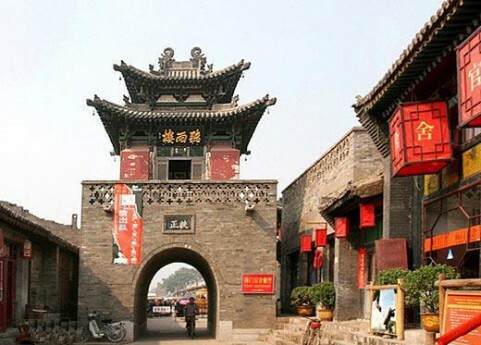 Cities with an unusual wealth of cultural relics of high historical value and major revolutionary significance shall be recommended to the State Council by the state department for cultural administration together with the department for urban and rural construction and environmental protection to be approved and announced as famous cities of historical and cultural value. Article 9. The people’s governments of provinces, autonomous regions, and municipalities directly under the Central Government and of counties, autonomous counties and cities shall delimit the necessary scope of protection, put up signs and notices, and establish records and files for the historical and cultural sites to be protected at different levels and shall, in the light of different circumstances, establish special organs or assign full-time personnel to be responsible for the administration of these sites. The scope of protection and records and files for the major sites to be protected at the national level shall be reported by the departments for cultural administration of the provinces, autonomous regions, and municipalities directly under the Central Government to the state department for cultural administration for the record. Article 10. When drawing up plans for urban and rural construction, the people’s governments at various levels must see to it that protective measures for the historical and cultural sites to be protected at different levels are first worked out through consultation between the departments for urban and rural planning and the departments for cultural administration and that such measures are included in the plans. Article 11. 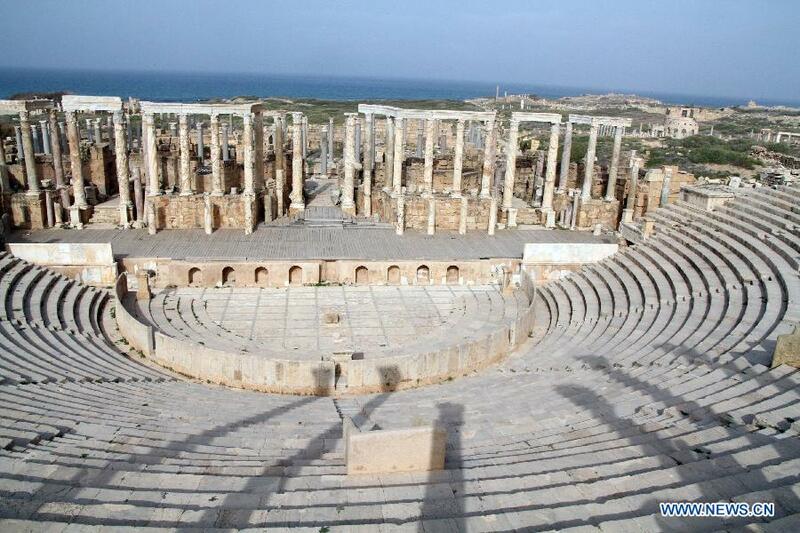 No additional construction project may be undertaken within the scope of protection for a historical and cultural site. In case of a special need, consent must be obtained from the people’s government which made the original announcement on the designation of such a site and from the department for cultural administration at the next higher level. If an additional construction project is to be undertaken within the scope of protection for a major historical and cultural site to be protected at the national level, consent must be obtained from the people’s government of the relevant province, autonomous region, or municipality directly under the Central Government and from the state department for cultural administration. Article 12. On the basis of the actual needs for the protection of cultural relics and with the approval of the people’s government of a province, an autonomous region or a municipality directly under the Central Government, a certain area for the control of construction may be delimited around a site to be protected for its historical and cultural value. Construction of new buildings or other structures in such an area shall not deform the environmental features of the historical and cultural site. The design for construction must be agreed to by the department for cultural administration before it is submitted to the department for urban and rural planning for approval. Article 13. While choosing a construction site and designing a project, if the project involves a site to be protected for its historical and cultural value, the construction unit shall first work out the protective measures jointly with the department for cultural administration of a province, an autonomous region, or a municipality directly under the Central Government or of a county, an autonomous county or a city, and such measures shall be written into the planning project description. Any removal or dismantling involving a site to be protected for its historical and cultural value, if considered specially necessary for a project, shall be agreed to by the people’s government at the same level as the site itself and by the department for cultural administration at the next higher level. Any removal or dismantling involving a major site to be protected at the national level shall be referred to the State Council by the people’s government of a province, an autonomous region or a municipality directly under the Central Government for decision. The expenses and workforce required for the removal or dismantling shall be included in the investment and labour plans of the construction unit. Article 14. The principle of keeping the cultural relics in their original state must be adhered to in the repairs and maintenance at the sites designated as the ones to be protected for their historical and cultural value and in any removal involving these sites, such as sites related to revolutionary history, memorial buildings, ancient tombs, ancient architectural structures, cave temples, stone carvings, etc. (including attachments to the structures). Article 15. If it is necessary to use a memorial building or an ancient architectural structure owned by the state at a place designated as a site to be protected for its historical and cultural value for purposes other than the establishment of a museum, a cultural relics preservation institute or a tourist site, the local department for cultural administration shall submit a report for approval to the people’s government which originally announced the designation of such a site. If it is necessary to use for other purposes a major site to be protected for its historical and cultural value at the national level, the matter shall be agreed to by the people’s government of a province, an autonomous region, or a municipality directly under the Central Government and shall be reported to the State Council for approval. The units in charge of these sites as well as specially established organs, such as museums, must strictly abide by the principle of keeping the cultural relics in their original state, and must be responsible for the safety of the buildings and of the affiliated cultural relics, and may not damage, rebuild, extend or dismantle them. Units which use memorial buildings or ancient architectural structures shall be responsible for the maintenance and repair of these buildings or structures. Article 16. The procedure of submitting reports for approval must be performed for all archaeological excavations. No unit or individual may conduct excavations without permission. The cultural relics unearthed, except for those to be handed over, as may be necessary, to scientific research institutions for the purpose of research, shall be taken care of by units designated by local departments for cultural administration, and no unit or individual may take them into its or his own possession. With a view to ensuring the safety of the cultural relics, conducting scientific research and making full use of cultural relics, the departments for cultural administration of provinces, autonomous regions, and municipalities directly under the Central Government may, when necessary, transfer and use the cultural relics within their respective administrative areas after reporting to and securing the approval of the people’s governments of these administrative divisions; the state department for cultural administration may, upon approval by the State Council, transfer and use major cultural relics unearthed anywhere in the country. Article 17. To conduct archaeological excavations for the purpose of scientific research, institutions in charge of cultural relics, institutions for archaeological research and institutions of higher learning in the provinces, autonomous regions, and municipalities directly under the Central Government shall submit their excavation programmes to the state department for cultural administration for joint examination with the Chinese Academy of Social Sciences, and may not proceed with the excavations until they obtain the approval of the state department for cultural administration. Archaeological excavation programmes which have to be carried out at the major sites to be protected for their historical and cultural value at the national level shall be submitted to the state department for cultural administration for joint examination with the Chinese Academy of Social Sciences before they are forwarded to the State Council for approval. Article 18. Before carrying out a large-scale capital construction project, the construction unit shall first conduct investigation or prospecting related to cultural relics, together with the department for cultural administration of a province, an autonomous region or a municipality directly under the Central Government, at places where such relics may be buried underground within the area designated for the project. If cultural relics are discovered in the course of investigation and prospecting, measures for handling them should be jointly decided upon by the two parties through consultation. In case of important discoveries, the department for cultural administration of a province, an autonomous region or a municipality directly under the Central Government shall submit timely reports for handling by the state department for cultural administration. While carrying out capital construction or agricultural production, any unit or individual that discovers cultural relics shall immediately report the discoveries to the local department for cultural administration. In case of important discoveries, the local department for cultural administration must submit timely reports for handling by the departments for cultural administration at higher levels. Article 19. With regard to archaeological excavations which have to be carried out along with a construction project, the department for cultural administration of a province, an autonomous region or a municipality directly under the Central Government shall submit an excavation programme based on prospecting to the state department for cultural administration for joint examination with the Chinese Academy of Social Sciences and for approval by the department. In cases where the pressing time limit for the completion of the project or the danger of natural damage makes it truly urgent to rescue the sites of ancient culture and ancient tombs, the department for cultural administration of a province, an autonomous region or a municipality directly under the Central Government may organize people to proceed with the excavations while going through the procedures to obtain approval. Article 20. The expenses and workforce needed for the prospecting for cultural relics and archaeological excavations which have to be carried out because of capital construction or construction for productive purposes shall be included in the investment and labour plans of the construction units or reported to planning departments at higher levels for proper arrangement. Article 21. No foreign national or foreign organization may engage in archaeological investigations or excavations within the boundaries of the People’s Republic of China without special permission granted by the State Council, on the basis of a report from the state department for cultural administration. Article 22. Museums, libraries and other institutions under ownership by the whole people must classify the cultural relics in their collection by different grades, compile files for the relics kept by them, establish a strict system of control and register the relics with the relevant department for cultural administration. Local departments for cultural administration at various levels shall compile files for the cultural relics in the collection of cultural institutions in their respective administrative areas; the state department for cultural administration shall compile files for Grade One cultural relics of the state. Article 23. Sales of cultural relics in the collection of museums, libraries and other institutions under ownership by the whole people shall be prohibited. Transfers and exchanges among these institutions of the cultural relics in their collection must be reported to the departments for cultural administration for the record; transfers and exchanges of Grade One cultural relics in their collection must be approved by the state department for cultural administration. No unit or individual may have cultural relics transferred without approval. Article 24. Cultural relics in private collections may be purchased by units designated by the departments for cultural administration; no other unit or individual may engage in the business of purchasing cultural relics. Article 25. The resale of cultural relics in private collections at a profit shall be strictly forbidden, and so shall be the private sale of such relics to foreigners. Article 26. Banks, smelteries, paper mills and departments for the recovery of old and waste materials shall assume responsibility, jointly with the departments for cultural administration, for sorting out cultural relics from among gold and silver articles and waste materials. The cultural relics thus obtained, except for coins and other kinds of currency of past ages which are needed by research institutes of the banks and which may be kept by the banks, shall be turned over to and placed at the disposal of the departments for cultural administration. The prices of the cultural relics turned over shall be reasonably assessed. Important cultural relics confiscated according to law by public security organs, the Customs and the departments for the administration of industry and commerce shall be turned over to the departments for cultural administration. Article 27. Cultural relics to be exported or to be taken out of the country by individuals must be declared to the Customs in advance and examined by the department for cultural administration of a province, an autonomous region or a municipality directly under the Central Government designated by the state department for cultural administration before export certificates are granted. Cultural relics leaving the country must be shipped out at designated ports. Cultural relics which, after examination, are not permitted to leave the country may be requisitioned by the state through purchase. Article 28. It shall be prohibited to take out of the country any cultural relics of significant historical, artistic or scientific value, with the exception of those to be shipped abroad for exhibition with the approval of the State Council. (7) long-time service and outstanding achievements in the field of cultural relics. Functionaries of the State who, by abusing their power, illegally appropriate any cultural relics under State protection shall be deemed as embezzlers and punished as such; those who have caused serious damage or losses to valuable cultural relics shall be investigated for criminal responsibility by applying mutatis mutandis the provisions of Article 187 of the Criminal Law. Personnel working in the field of cultural relics who steal cultural relics placed under their care shall be punished severely according to law. Article 32. The state department for cultural administration shall, in accordance with this Law, formulate rules for its implementation, which shall come into force after being submitted to and approved by the State Council. Measures governing the production of replicas, rubbings and photographs of cultural relics shall be formulated by the state department for cultural administration. Article 33. This Law shall come into force on the day of its promulgation. On that same day, the Provisional Regulations on the Protection and Control of Cultural Relics promulgated by the State Council in 1961 shall be invalidated. This Law shall prevail in case of conflict with other existing provisions for the protection and control of cultural relics. Pinard, J.L., 1985. The People’s Republic of China: A Bibliography of Selected English-Language Legal Materials. China Law Reporter, 3 (1), 46–143. Ainsworth, J.E., 1992. Interpreting Sacred Texts: Preliminary Reflections On Constitutional Discourse In China. Hastings Law Journal, 43 (2), 273–300. Modak-Truran, M.C., 2008. A Process Theory of Natural Law and the Rule of Law in China. Penn State International Law Review, 25, 607–652. Fa, Y., 1931. The Provisional Constitution of the Republic of China. China Law Review, 4 (8), 311–320. National People’s Congress, 1935. Draft of the Constitution of the Republic of China. Chinese Social and Political Science Review, 18 (4), 539–571. Steiner, H.A., 1955. The Constitution of the People’s Republic of China. World Affairs, 118 (3), 78–80. Weng, B., 1982. Some Key Aspects of the 1982 Draft Constitution of the People’s Republic of China. The China Quarterly, 91, 492–506. Saich, T., 1983. 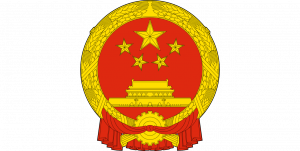 Constitution of the People’s Republic of China. Review of Socialist Law, 9 (2), 183–208. Jones, W.C., 1980. The Criminal Law of the People’s Republic of China. Review of Socialist Law, 6 (4), 405–424. Meijer, M.J., 1980. The New Criminal Law of the People’s Republic of China. Review of Socialist Law, 6 (2), 125–140. Wang Chi and M., L.L., 1981. The Criminal Law of the People’s Republic of China. Review of Socialist Law, 7 (2), 199–222. Horsley, J.P., 1993. Erecting a Body of Construction Law in the People’s Republic of China. Journal of Chinese Law, 7 (1), 35–62. Bekker, P.M., 1993. Some aspects of the legal system of the People’s Republic of China. Comparative and International Law Journal of Southern Africa, 26 (2), 250–258. Murphy, J.D., 1995. The Imperilment of Cultural Property in the People’s Republic of China. University of British Columbia Law Review, 1995, 91–118. Fu, K., 2003. A Chinese Perspective on the UNESCO Convention on the Protection of the Underwater Cultural Heritage. International Journal of Marine and Coastal Law, 18 (1), 109–126. Dutra, M.L., 2004. Sir, how much is that Ming vase in the window? : Protecting Cultural Relics in the People’s Republic of China. Asian-Pacific Law and Policy Journal, 5, 62–100. Frost, R., 2004. Underwater Cultural Heritage Protection. Australian Year Book of International Law, 23, 25–50. Baum, I., 2006. The Great Mall of China: Should the United States Restrict Importation of Chinese Cultural Property? Cardozo Arts & Entertainment Law Journal, 24 (2), 919–952. Yu, P.K., 2008. Cultural Relics, Intellectual Property, and Intangible Heritage. Temple Law Review, 81 (2), 453–506. Maus, A.K., 2009. Safeguarding China’s Cultural History: Proposed Amendments to the 2002 Law on the Protection of Cultural Relics. Pacific Rim Law & Policy Journal, 18 (2), 405–432. Marton, A.L., 2009. On Rabbits, Rats and Low-Hanging Fruit: Rethinking the Impact of International Agreements on China’s Domestic Cultural Property Protection. Columbia Journal of Asian Law, 23 (1), 217–240. Urice, S. and Adler, A., 2011. Resolving the Disjunction between Cultural Property Policy and Law: A Call for Reform. Rutgers Law Review, 64 (1), 117–163. Xie, X., 2011. Application of International Law in China’s Recourse of Overseas Lost Chinese Cultural Relics. In: L. Li, ed. The China Legal Development Yearbook, Volume 5. Leiden: Brill, 81–96. Luo, G., 2012. International Legal Issues on China’s Recourse for Cultural Relics Pillages Overseas: Dilemma and Way Out – Take the Litigation on the Auction of Rat Head and Rabbit Head Bronze Statues for Example. Frontiers of Law in China, 7 (3), 454–473. Li, L., 2012. Does intangible cultural heritage law resolve everything in China? Journal of International Commercial Law and Technology, 7 (4), 355–362.